Dogfish Stick Around in Back Sound and the Importance of Observations – Ya Like Dags? This past week my latest paper, published in F1000 Research as part of their Elasmobranch Biology and Conservation collection, officially passed peer review. This paper summarizes data collected from some spiny dogfish captured during the Back and Core Sound shark survey that seemed to be hanging around in the area a lot later (and in much warmer water) than would be expected, and is more of a short observation note than a full research article. Also, those of you following me on Twitter probably saw me announce the availability of this paper back in August. Since I like to use this blog as the “liner notes” for things I get published, read on to find out where this paper came from and why it would be readable in August but not “finished” until November. The origin of this paper came about during gillnet and longline sampling in Back and Core Sounds. This intent of this project is to identify patterns of habitat use by juvenile sharks in a relatively enclosed estuary. This past May the waters in this area warmed rapidly and we caught an interesting mix of overwintering species on their way out and summer species on their way in. Even with all this activity, it was a surprise to see four spiny dogfish fairly far up the estuary in Back Sound, and even more surprising to catch another one even farther up Core Sound in Jarrett Bay. To add another layer of surprise, the water temperatures where these dogfish were captured ranged from nearly 23 °C to over 24 °C (roughly 73-75 °F, comfortable swimming temperature for this transplanted New Englander). In North Carolina waters, spiny dogfish are typically a winter species and start heading north when the water temperature exceeds 18 °C (a little over 64 °F), usually starting their migration in late March or April. After digging through the literature, it looks like these dogfish caught in the sound were not only hanging around later than usual, but were actually occupying the water temperatures above the warmest they’ve been previously recorded at. This suggests that spiny dogfish are much more adaptable in terms of thermal environment than previously believed. Field assistant Elizabeth with one of the stars of this paper. While most scientific papers describe an entire project or experiment and test a hypothesis, a significant portion of the scientific literature is made up of observational papers. These are usually short articles describing a significant or unusual finding made over the course of a larger project. All scientific fields benefit from new observations, and most journals provide the option of publishing observations under a different format than full research articles (F1000 Research and some other journals refer to these as Research Notes, for example). Observation articles usually have a quicker turnaround time for peer review and sometimes even have lower publication costs. This allows novel information to get out in a timely fashion and be the focus of an entire paper where it might otherwise have been buried in a larger paper or not published at all. Because we captured these dogfish later in the season and at higher temperatures than previously published, we though publishing these observations was appropriate. So thanks to these incidentally-captured dogfish, our juvenile shark survey has its first publication. This paper was also my first experience with open post-publication peer review, in which the first, unreviewed version of the paper goes up for all to see and reviews come in afterwards. Reviews are also not anonymous, which means you can see exactly who made which comment. It’s definitely a different system than typical peer review, in which the paper doesn’t see the light of day until the (usually anonymous) reviewers and editor are satisfied. The potential for abuse in the typical, anonymous peer review has been discussed much more thoroughly than I can cover here. Knowing that any mistakes I made were visible to everyone probably made me a more careful writer. You’d have to ask the reviewers whether knowing their comments were public influenced their responses, but I can see how open peer review can potentially curb some of the worst excesses of anonymous review. The flipside is that some reviewers may prefer their comments remain anonymous, especially in a relatively small field like shark research where the odds are good that you might have to say something harsh to someone you’ve enjoyed hanging out with at conferences. Personally, I found it neat to watch the peer review process play out in the open for this paper, and if you want to see what changed from the first version and why, the reviewers’ comments are available for anyone to read. It’s an interesting window into a process that usually goes on behind closed doors. So if you’re interested, check the paper out. It’s open access so you won’t have to pay or be logged onto a institutional network to read it. Also check out the other papers in the collection (and if you feel like adding your own, submissions are still being taken). Disclosure: David Shiffman and I were co-editors for this collection, but that did not factor into the review process for this paper. 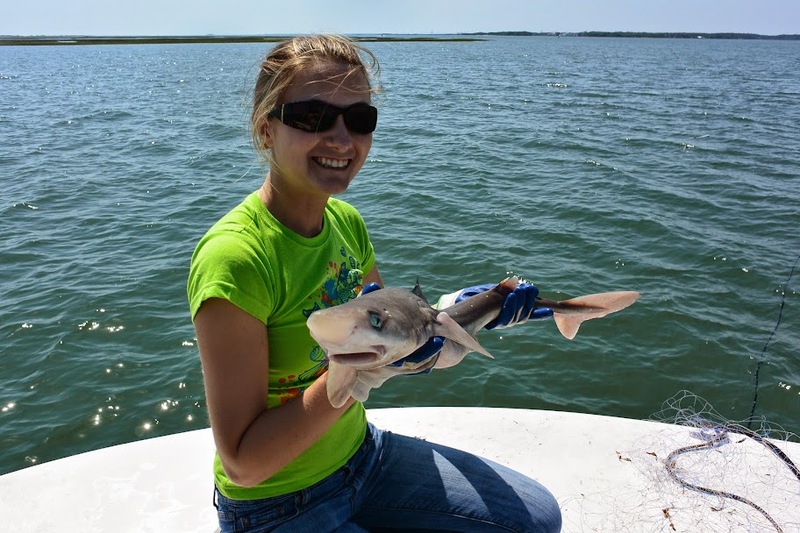 Pingback: Sharks and Rays in North Carolina’s Natural Laboratory | Ya Like Dags?